ABBA, Barry White, The Bee Gees, Cheryl Lynn, Chic, The Commodores, Rick James, The Gap Band, Donna Summer, Earth, Wind & Fire, KC & The Sunshine Band, Kool & The Gang, The Village People, Dianna Ross and other Disco superstars. Your Disco Flashback Party deserves the best- sound and lighting by 70s DJ Craig! We provide top quality audio and special effects lighting for 70s Disco DJ Parties in Los Angeles, Orange County and throughout Southern California. Tell your friends to put on their classic polyester, jump into their platform shoes and join you for the best in Disco, 70s and Funk. Check out our Dance lighting, including our magic Disco Ball! -In December 1977, the film "Saturday Night Fever" was released and became a huge success -its soundtrack became one of the best-selling albums of all time. It revived the career of The Bee Gees and made them international superstars and launched John Travolta's epic film career..
-Disco was so popular at one time that even Rockers like The Rolling Stones, Rod Stewart and Blondie released Disco records. -John Travolta's iconic white suit was originally bought in a cheap men's clothing store in Brooklyn and was once sold at a Christie's auction to an anonymous bidder for $145,000. 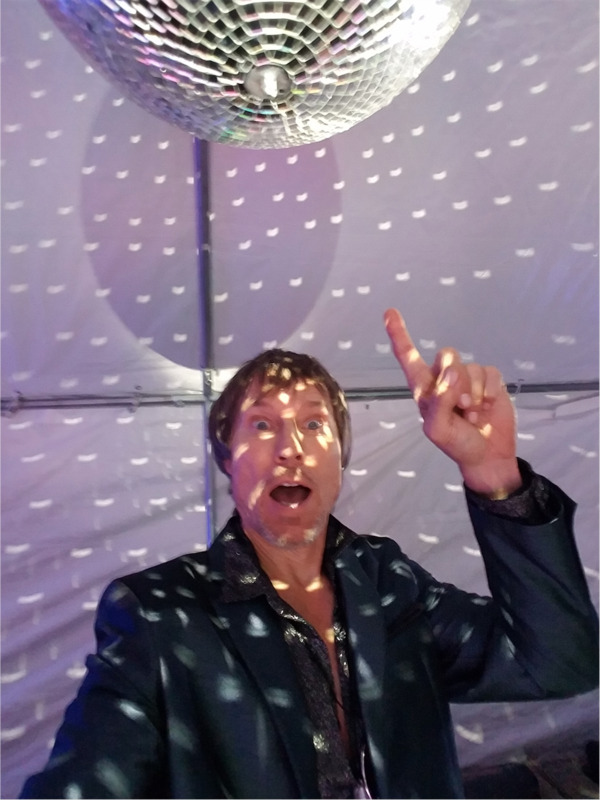 Disco DJ Craig.Net is Music For Your 70s Dance Party!